The best way to listen to jazz isn’t at home on your iTunes but at your local nightclub. Jazz, like any other type of music, is best heard live. Yet, jazz is not like pop and rock music. It’s complex. It’s challenging. You need to go to jazz. Jazz does not come to you. With that being said, we have complied a list of what we consider The Best 50 Jazz Clubs in America. The criteria we used to choose these venues includes types of jazz and blues music performed, club ambiance and intimacy, choice of performers, reputation and more. The following places are not only great places to listen to great jazz and blues, they are also great starting points to introduce yourself to America’s music. 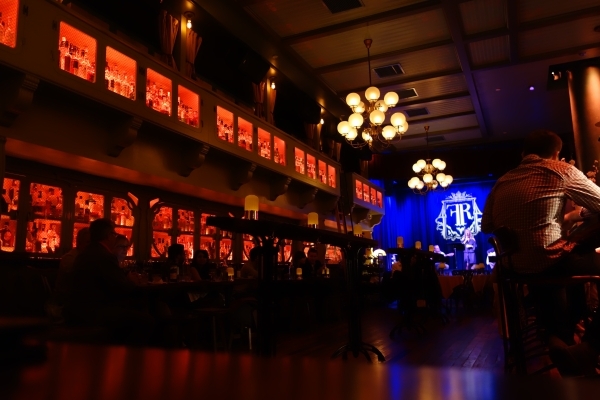 If you’re already familiar with the genre, then the following 50 establishments are the type of jazz clubs you can visit to enjoy a tasty cocktail, a fine meal and some of the best live jazz and blues. According to their web site, 55 Bar’s “heart is jazz” and its “soul is blues.” The establishment offers live jazz every weeknight but are open every day until 4am. Billed as a dive bar from the prohibition era, 55 is an affable jazz club where it feels like everyone knows your name. The 7 Mile House is one of the only venues on our list where you can catch both live jazz music and the big game. Check out their web site for specifics as they do book other types of music. Regardless, live music at 7 Mile House is always free. The hot spot traces its history all the way back to 1853. Their menu offers a unique and delicious mix of Italian, American, and Filipino fare. Also, 7 Mile House is super dog friendly. Arthur’s Tavern opened in 1937. You can find it in New York City’s West Village. This historic venue is the last continuously operated nightclub to host legends Charlie Parker and Roy Hargrove. Arthur’s Tavern doesn’t have a cover and they host Dixieland jazz as well as blues and rhythm & blues. The venue is the Douglas Beach House. It’s located 45 minutes from San Francisco in Half Moon Bay. The Bach Dancing & Dynamite Society hosts jazz performances at the beach house on Sunday afternoons. The performance space has a breathtaking vista of the ocean and you can bring your own wine. You don’t have to be a member of the society to attend. The Balcony Club is a cozy music lounge that delights the senses. The jazz musicians on its stage will dazzle your ears, the drinks from its bar will tantalize your taste buds, and the art deco aesthetic is an eye pleaser. The Balcony Club opened more than a quarter century ago and is situated next to the Lakewood Theater in Old East Dallas. You’ll find The Beehive buzzing in The Boston Center for the Arts complex. They bill themselves as a “Bohemian eatery.” They showcase live music nightly and jazz frequently. At The Beehive, there’s never a cover for live tunes. If you’re looking for an establishment with the “quad”—terrific food, terrific cocktails, terrific jazz music, and terrific atmosphere—then The Beehive is your place. Birdland Jazzista Social Club is the most unusual and most enjoyable venue on our list. You have to be a member to attend all the fun, but becoming a member is super easy. Open on most Fridays and Saturdays—with barbeques usually occurring on the former—The Birdland supports jazz, blues, and salsa artists. The neighborhood club also throws its support behind the local Berkley High School Jazz Program. Stepping into Bix Restaurant is like stepping into a time machine and going back to the 1920s. Jazz music was the soundtrack of the 1920s and it’s the soundtrack of Bix. 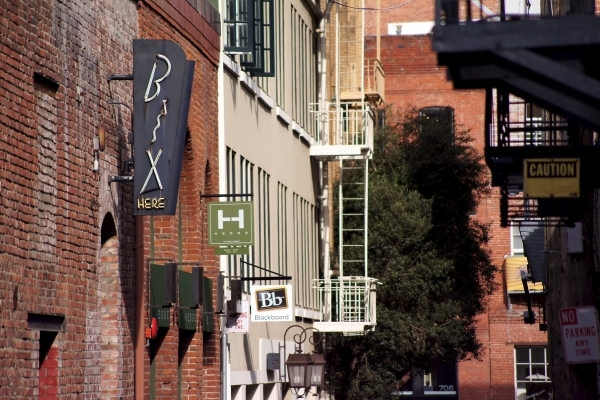 Located in the Barbary Coast enclave down an alley, Bix welcomes pianists and vocalists Sunday through Thursdays and jazz trios Friday and Saturday night. The Blue Room is associated with the American Jazz Museum but that doesn’t mean the venue is staid and academic like a museum. This is a happening club that’s determined to keep “Kansas City Jazz” alive and thriving. The Blue Room opened in 1997. It welcomes local and national talent and hosts a jam session every Monday. Buffa’s Bar & Restaurant is located on the “border of the quarter” and has been since 1939. Buffa’s is the place to go even if you despise jazz. Heck, even if you despise live music. Why? Their menu is to die for and their bar is highly touted. Their back room closes but their bar is open all-day, every day. Cafe-Bar Europa is patterned after the small bars you see in southern Europe. Located on Turquois Street, Café-Bar Europa hosts live music every night. This is one of the only jazz clubs where you can bring your dog (canines are allowed in their enclosed outdoor patio). More good news: they even have an espresso bar! Come to Cleopatra's Needle to hear great jazz, but run to Cleopatra's for their awe-inspiring jam sessions. At these world renowned jam sessions veterans and rookies trade licks, runs, and riffs. It’s pretty cool. Not only is Cleo’s jazz music known far and wide but so is their menu. Their food is so good it was once featured on the Food Network. One of the most inviting and welcoming venues on our list, the Comstock Saloon is found in a space that goes all the way back to 1907. 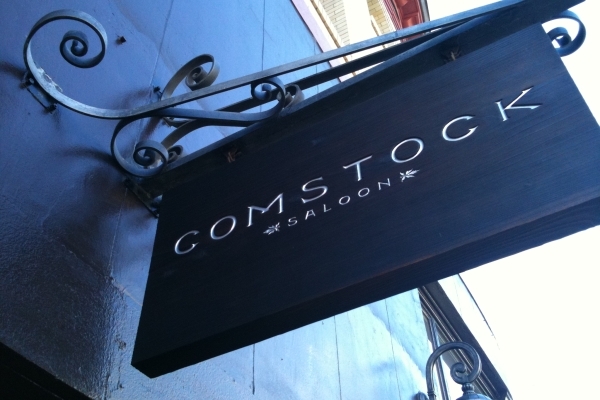 Now get this: the Comstock offers “turn-of-the-century saloon fare” and amazing cocktails. Technically a non-jazz club, Comstock hosts enough trios and quartets to satisfy your jazz curiosity. If it’s Tuesday in Miami, and you want to hear some enthralling jazz, just rush on over to The Corner. In fact, it was picked as the best jazz night in Miami in 2014. Our favorite part of The Corner is the cute seals (as in the animals) on the windows. You’ve got to love a place that uses cute seals. The Dakota Jazz Club & Restaurant has hosted sets from a plethora of major acts. This includes jazz legends like Dave Brubeck and Ramsey Lewis as well as popular musicians like Prince and Martha Reeves and the Vandellas. The Dakota is found downtown in the Nicollet Mall and the establishment works tirelessly to preserve jazz music. Its official name is Darryl’s Corner Bar & Kitchen, but you’ll want to call it DCBK. 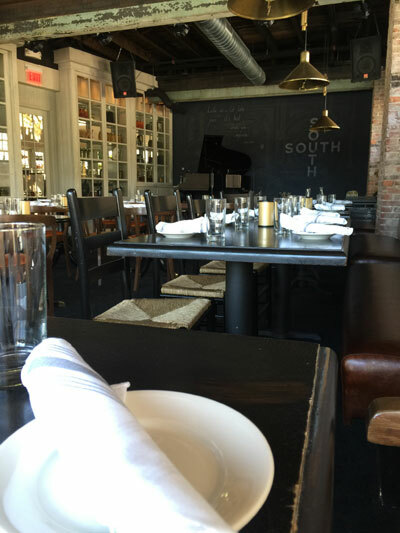 The establishment serves up tasty victuals and marvelous live jazz. DCBK’s is opened Tuesday through Sunday. For great live jazz, and/or blues, visit de-NOVO Bistro & Bar on a Thursday, Friday, or Saturday. This hot venue is located in downtown Columbus. Not only is it a charming place to listen to live music, but it’s a great hideout for dinner and cocktails. You’ll love the modern décor especially the exposed brick and rod iron. The Dirty Dog Jazz Café seats 65 and is a fun, relaxed place to enjoy legends, greats, icons, and greenhorns of the jazz world. The café is modeled after an English pub—there are lots of dark wood and lots of deep reds. The cuisine is terrific and the staff is super attentive. You can experience great jazz in the Elephant Room seven days a week. This nationally renowned jazz venue is located in the basement of the historic Swift Building. Thanks to its full bar, the Elephant Room is a destination for both jazz aficionados and jazz neophytes. FitzGerald’s Nightclub is officially in Berwyn, but it’s just half a dozen blocks from the Forest Park Blue Line stop at Oak Park Avenue. Regardless of its address, FitzGerald is widely regarded as one of the best live music venues in Chitown. In other words, it’s worth the commute. The Flatiron Room might be the perfect place to introduce yourself to jazz (especially if you like whiskey!). For one they have “hand-painted coffered ceilings.” You can’t go wrong with a place that has “hand-painted coffered ceilings.” Also, they stock jazz acts that are not only talented but designed to be background music, thus allowing you to ease into the genre. With that being said, they have a beautiful stage with lush velvet curtains. Green Mill Jazz Club is a comfortable haunt patterned after a famous Harlem hot spot of the 1940s. All types of jazz music are featured at Green Mill including improvisational, contemporary, traditional, bebop, and avant-garde. You’ve probably seen the Green Mill in movies like Ocean’s 12, V.I. Warshawski, The Lake House, and Prelude to a Kiss. If you find yourself on Florida’s Space Coast, and you have a desire for some magnificent live jazz, there’s only one place to go and that’s Heidi’s Jazz Club. Live music is scheduled Wednesday through Sunday. On Sunday night’s, Heidi hosts an open jam session beginning at 7pm. The club opened in 1992. Opened in 1995, and located in St. Louis’ Grand Center Arts District, Jazz at the Bistro offers patrons one of the finest listening experiences in the nation. There’s not a bad seat in the house and the acoustics are extraordinary. Jazz at the Bistro is part of Jazz St. Louis, a nonprofit whose aim is to promote jazz. 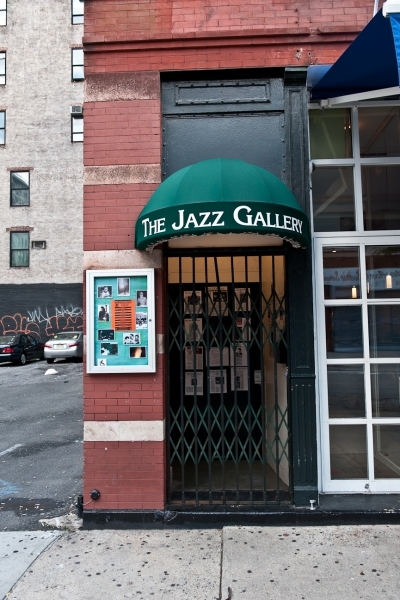 The Jazz Gallery is the most appropriately named venue on our list. They are a major player in the city’s jazz scene giving artists, both young and old, a place to perfect their craft. The Jazz Gallery commissions new works, pairs young artists with established ones, showcases 21st century jazz, and provides a rehearsal space for NYC’s jazz musicians. Dexter Gordon, Count Basie, Milt Jackson, Bill Evans, Dizzy Gillespie, George Benson, and Art Blakey and the Jazz Messengers have all played at Windy City’s Jazz Showcase. This jazz venue opened in 1947 and since that time esteemed owner Joe Segal has greeted everyone who has come through the doors (he’s the guy at the entrance who takes your money). Jazz Standard has great barbeque, ambience, and acoustics. It’s a venue where one night you can experience a living jazz legend and the next you can enjoy a future jazz legend. Even better, every Sunday, guitarist David O'Rourke leads a program called “Jazz for Kids.” It’s the ideal place and time to introduce your offspring to jazz. Jimmy Mak’s is Portland’s premiere, and a nationally renowned, jazz club. Here you’ll find sets from icons as well as rising stars. We love Jimmy Mak’s cool vibe and its big red curtain. The DeLellis family’s Johnny D’s reserves all types of fantastic live music. They make our list because every weekend they host a live jazz brunch. Artists that have graced Johnny D’s stage over the years include Béla Fleck, Bill Frisell, and Sun Ra. Johnny D’s is also known for their delectable menu. The Lafayette Bar is built around a great idea: “to provide a place… for jazz culture, its fans and our friends.” Look for shows on the first and third Saturday of the month. The Little Gem is situated on the historic 400 block of South Rampart Street, not too far from the Superdome and The French Quarter. It schedules New Orleans best jazz artists and feeds jazz aficionados with scrumptious updated Southern Soul food. The Little Gem is the ongoing brain child of jazz genius Dr. Nicolas Bazan. Lonie Walker’s Underground Wonder Bar is unpretentious, lively, and colorful. You come here to enjoy jazz, blues, funk, reggae, soul, and rock—the genre doesn’t matter as long as it’s played with love and passion. UWB opened in 1989 and has two levels, two bars, and three stages. 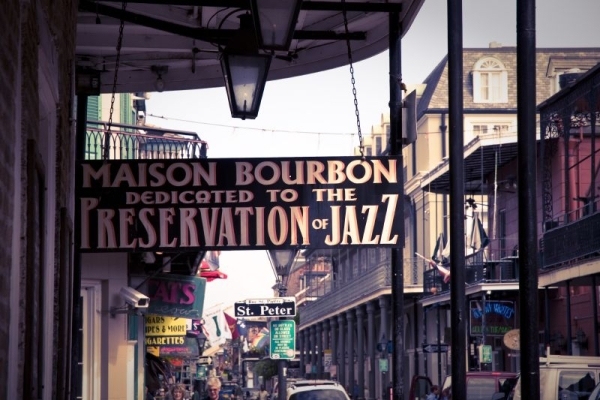 Maison Bourbon is dedicated to preserving the genre and is one of two remaining jazz clubs still left on Bourbon Street. 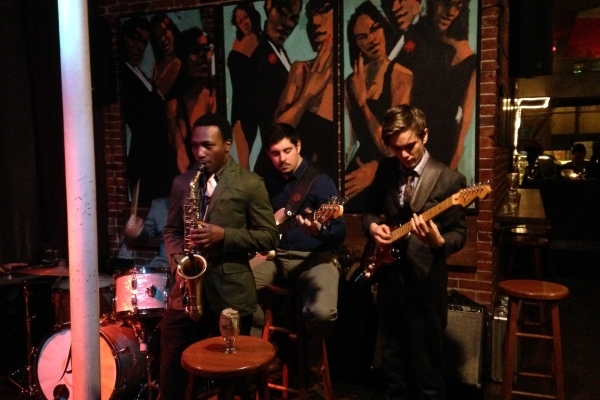 Live jazz is always going down at Maison. Best of all, you’ll likely to see the jazz superstars of tomorrow perform on their stage this is where Harry Connick, Jr. cut his jazz teeth. Metropolitan Room is a jazz cabaret and an excellent one at that. The venue is simply gorgeous and so are its acoustics. It’s operated by professionals who know what they’re doing. They’ve hired an A-1 staff and devised a delicious menu. 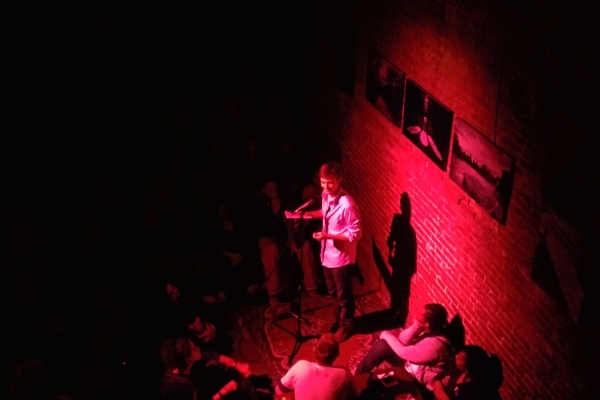 Don’t wear your jeans and ratty t-shirt to the Metropolitan Room. This 115-seat venue asks that you dress up before walking through its doors. Nighttime is a sharp looking club. It opened in 1965 and is found in a building that dates back to the 1920s. The inside is super cool—our favorite is the penguin with the clock in its belly. They secure jazz artists four or more nights a week. The Nighttime attracts an eclectic group of patrons and is named after the Red-Light District in James Joyce’s Ulysses. Widely praised and super elegant, Nocturne introduces jazz fanatics to ravishing rations and lovely libations. Closed Sunday and Monday, Nocturne presents live jazz Tuesday through Saturday from 7pm to 11pm. On Fridays and Saturdays, pay extra for babysitting and enjoy “Late Night Sessions.” From 11:15pm to 1:15am you can enjoy duos, trios, and even jazz on vinyl. 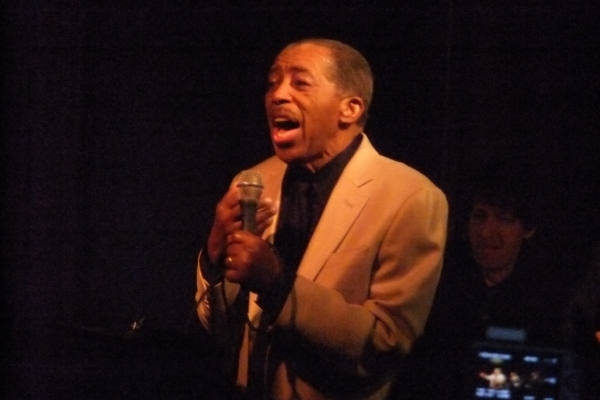 Yes, the Nuyorican Poets Café was built on providing a space for spoken-word artists but it has grown to provide a space for a variety of artists to perform and that includes jazz musicians. Look for Latin jazz on Tuesday nights and then check their online calendar for other scheduled jazz performances. The Paris Bistro & Jazz Café is found on Germantown Avenue. The venue’s décor will take visitors back to the 1930s with its red leather, velvet upholstery, and custom metal work. The bar is upstairs while the outstanding live jazz is downstairs (Thursday through Sunday). The “jazz café” seats 52 and brings to its stage performances in gypsy jazz, The Great American Songbook, jazz-era music, and traditional jazz. The Promontory is a gorgeous space that’s half-restaurant and half-music venue. The venue engages top-tier jazz acts as well as nationally renowned performers in others genres. The restaurant boasts about their menu being “hearth to table.” That means your appealing suppers are made over a big fireplace in the kitchen. 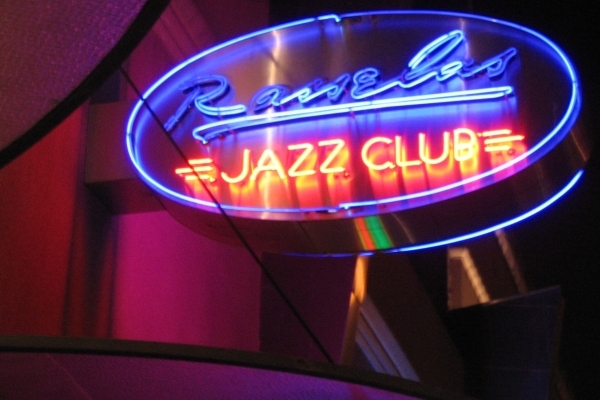 Located across the street from the famed Fillmore Auditorium resides the Rasselas Jazz Club & Restaurant. All week long Rasselas gathers not only the best jazz musicians in the world but the best musicians in the genres of Latin, funk, and rhythm & blues. Founded in 1986, Rasselas also has a dance floor and a dinner menu replete with authentic Ethiopian cuisine. We’re not the only publication that loves the Regatta Bar. It was once labeled “best jazz bar” by Rolling Stone Magazine. You’ll find this establishment on the third floor of The Charles Hotel on One Bennett Street. It opened in 1985 and welcomes all ages. Ryles is such an awesome jazz club that it needs two floors to contain all of its awesomeness. The Cambridge institution brings to its pair of stories the best jazz warriors in the nation. Ryles is intimate, sophisticated, and genuine. It’s also home to the Ryles Jazz Orchestra. The Savanna Jazz Club is owned by educators committed to jazz. That doesn’t mean you’ll be sitting behind desks and forced to listen to lectures. The Savanna Jazz Club is a gorgeous locale with an impressive bar, a cordial staff, and top notch jazz. Here, jazz isn’t the most important thing, it’s the only thing. Scullers Jazz Club has seen a bunch of big time jazz artists come through its doors including Harry Connick, Jr., Michael Bubble, Chris Botti, David Sanborn, and Tony Bennett. The establishment opened in 1989 and is owned by the legendary Fred Taylor. Not only does Scullers offer brilliant jazz music it also offers spectacular views of Beantown. Shanghai Jazz has it all: hip jazz music, gourmet Asian cuisine, a colossal bar, gracious service, and a welcoming atmosphere. This highly touted establishment opened in 1995 and hosts jazz’s best artists six days a week. It was inspired by Shanghai of the 1920s and 1930s. Wondrous dining room? Check. Exhilarating Bar? Check. Astonishing live jazz? Check! 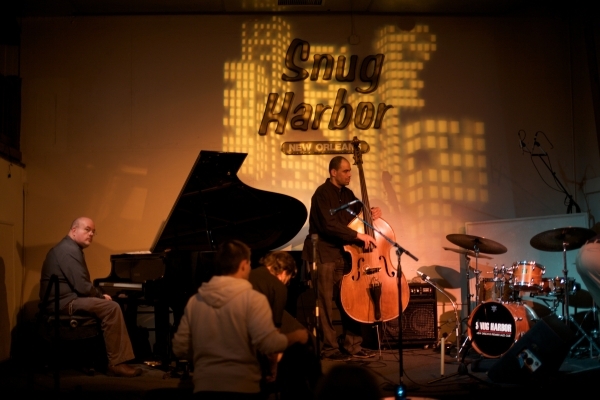 Snug Harbor has been a New Orleans’ fixture for more than three decades. This must-attend venue is situated in Faubourg Mariginy just outside of the French Quarter. 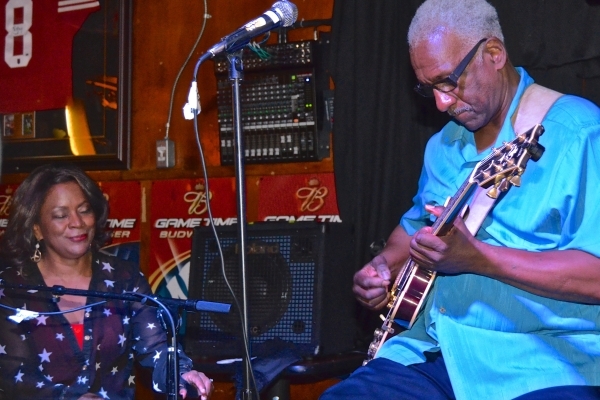 Jazz experts and restaurateurs The Bynum Brothers own SOUTH in Philadelphia at 600 North Broad Street which offers high-quality live jazz and Southern cuisine, a terrific combo. The three-room restaurant, bar and jazz parlor draws on the Bynum brothers’ unparalleled success at landmark venues such as the original Zanzibar Blue, Warmdaddy’s and Paris Bistro (two of which are also on this list!). The wonderful menu pays tribute to the many culinary centers and hubs below the Mason-Dixon line. You can listen to all types of live music at the Sugar Bar not just jazz. We decided to include this club because A) it’s a super hangout, B) they have exemplary desserts, and C) it was founded by the legendary Nickolas Ashford of Ashford & Simpson! The Sugar Bar resides on the Upper West Side of Manhattan. 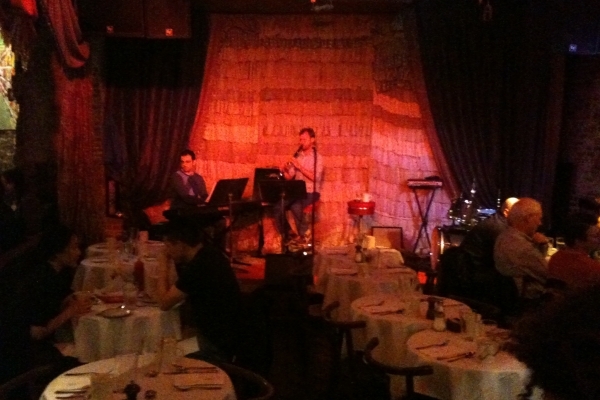 Tula's Restaurant and Jazz Club presents the city’s leading live jazz seven days a week. If you make dinner reservations before 7pm on Friday, or Saturday, you’ll get $5 off your cover. Tula’s has table seating outdoors. That’s interesting for a city that enjoys 300 days of rain a year and for a venue that touts itself as the best place to listen to live jazz—something you generally do indoors. 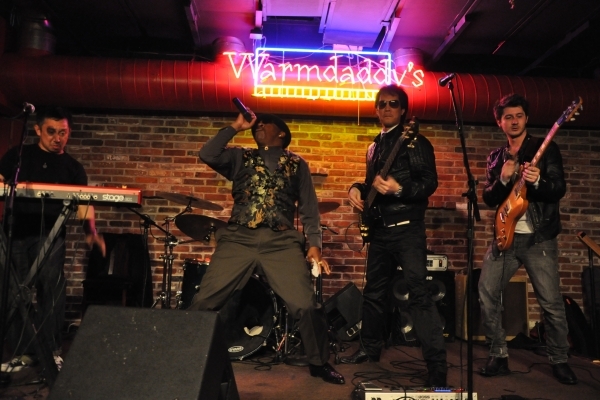 Warmdaddy’s bills itself as “food, culture, and music that encompass the real southern rhythm + blues experience.” In other words, Warmdaddy’s brings The South to the banks of the Delaware River. The venue, which presents all types of music, not just jazz, has a nonpareil atmosphere and friendly service. Remember, Thursday night is “Jazz Happy Hour” hosted by Michael Tozzi.